Alyce at Home with Books tagged me for the following meme. It sounded fun so I thought I'd play! Are you really surprised at this point that Anne has been sitting on my shelf the longest? This is the only series or set of books that I have packed up and moved with me since the time I left home (Texas) and moved further west. The majority of my books stayed at my parents home until I married and then they shipped the books out to me. (My husband didn't think it'd be a big deal to have my books mailed out to me. Then they arrived and all of the boxes formed a huge pile and he thought he had never seen one person own so many books. And that was four years ago. I've added a lot of books to our home collection since then!) But Anne always has and always will be the nearest and dearest friend out of all my books. Well, after Anne there's Narnia. 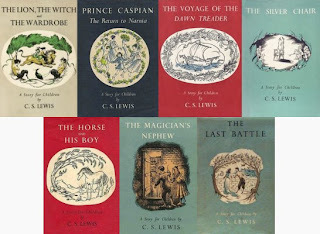 I only just read the Narnia books for the first time a mere 2-3 years ago. 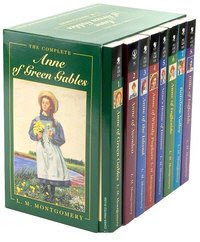 My young (8 years old at the time) sister-in-law was getting started on the series and I thought it was absolutely ridiculous for her to have read the series before I did. So I recall submitting a "race" challenge to her (I won) and borrowed my in-laws books to read them for the first time. For the record, I now have my own set and re-read them again just recently. Mistaken Identity which was reviewed by Melissa over at 5 Minutes for Books. 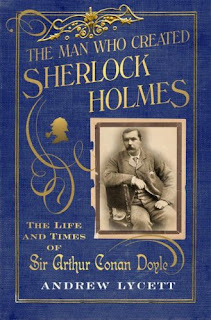 It's the next book (in an admittedly long line) that I really want to read (badly). I saw the special on Dateline over X-Mas about the girls in the "Mistaken Identity" story - heart wrenching on so many levels. How do you have an 8 year old sister-in-law?! This is one I'll have to think about! All right -- I'm on it! :) I'll try to post my stuff today or tomorrow. Fun meme. My Anne series is in such bad shape - no box anymore and my favorite of the series (Windy Poplars) is well-taped together. I have just read Anne of Green Gables to my girls (as part of your reading challenge) and am now reading the Lion, the Witch and the Wardrobe. They are falling in love with the stories, which is a joy to see. Mistaken Identity sounds interesting, I read the review at 5 minutes for books, will add this to my reading list for 09 - thanks. Thanks for tagging me -- it was a lot of fun to go through my bookshelves and think about the books I have. Now see -- you wanted to cancel "I Read It" but you always have several books you can post up!! Btw, I always always forget you grew up in TX. Thanks for the link! (Again) = ) This week will be MUCH slower for me - I hope. Maybe I'll get some actual writing done!